English Pale Ale: A classic English style that yields medium-high bitterness above a foundation of caramel maltiness. Hop character is derived from heavy bittering addition. This is a well-balance drinkable Special Bitter. 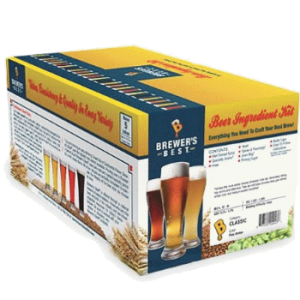 Brewer`s Best Beer Making Ingredient Kits use the freshest ingredients for true to style beer recipes. Conveniently packaged at an affordable price. These all-malt beer ingredient kits are designed for the beginner yet challenging enough for the intermediate brewer. All Brewer`s Best recipes conform to the AHA Style Guidelines and include all the ingredients with proven recipes to produce prize-winning brews. Includes: Malt Hops Caps Grains Dry Yeast Priming Sugar and Instructions. 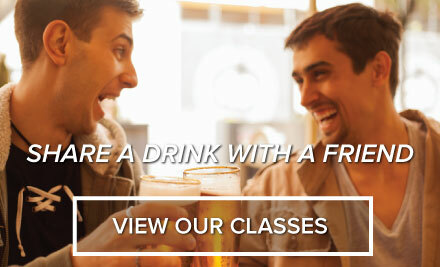 Choose from Brewer`s Best Classic Premium or Seasonal lines.